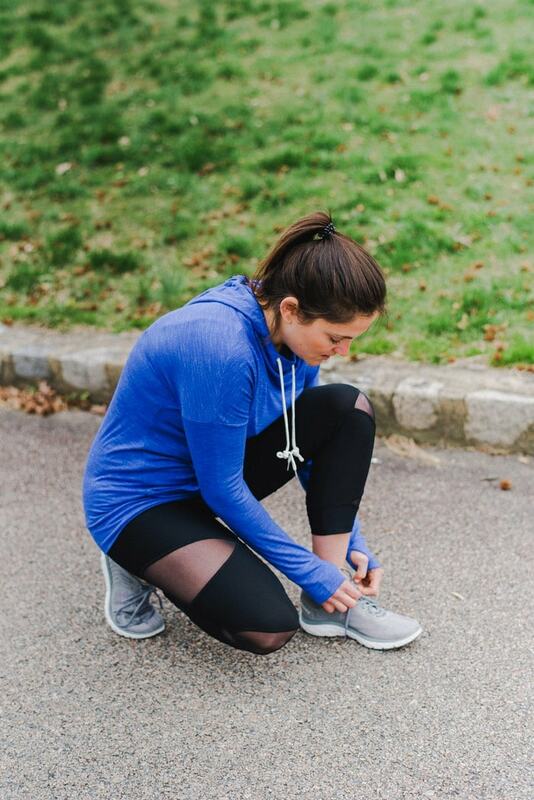 How I’m prepping for the Monument Ave 10K with new workout gear and an easy 8-week 10K training plan for runners. This post is sponsored by Kroger. Spring is almost here and I’m getting so antsy to run outside. I love having a treadmill in my basement — it’s been such a lifesaver this winter because it’s kept me active even on cold and snowy days — but there’s nothing quite like running outside on a sunny spring day. It’s one of the best feelings. Like I mentioned a few weeks ago, I signed up to run the Ukrop’s Monument Ave 10K again this year. It’s one of the best races in Richmond and the whole city really gets involved. Around 25K people run/walk the race and those who don’t are often on the race course attending a block party or cheering the runners on. It’s such a fun day in Richmond. With the race in mind I’ve been adding a little running into my workout routine. Before signing up for the race my workout schedule consisted of 4-5 days of group personal training (which focuses primarily on strength, but does involve a little cardio at the end of each workout), 2-3 days of weighted walks and a yoga class here and there. Over the past few weeks I’ve started doing at least one long run per week instead of my weighted walk. Ideally I would be running 2-3 times a week to prepare, but because strength training is my focus right now and because I’m just running this race for fun (rather than trying to PR), I’m keeping my training super light. 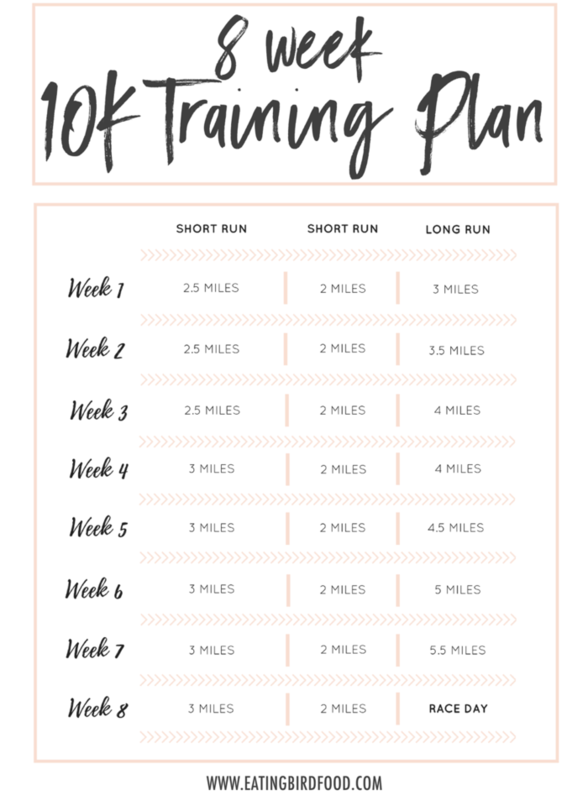 In the past, especially when I first started running, I followed a more regimented running-focused 10K training plan similar to the one I’m sharing below to prepare. 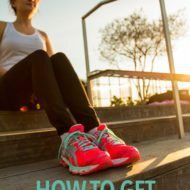 Hopefully this plan is helpful for you if you’ve signed up to run a 10K this spring or are looking to increase your running mileage. Overall I just wanted to provide a super simple, progressive training plan you can follow to help prepare you for race day. Each week you do 3 runs: 2 short runs and 1 long run. On the other days you can either cross-train or rest, depending on your fitness level and goals. And don’t forget to stretch. I have an awesome race day warm-up, as well as a post-workout stretching routine. In terms of prepping for the race, I also picked up some new gear to help motivate me. I know I’ve mentioned this before, but I’m a huge proponent of cute workout gear. 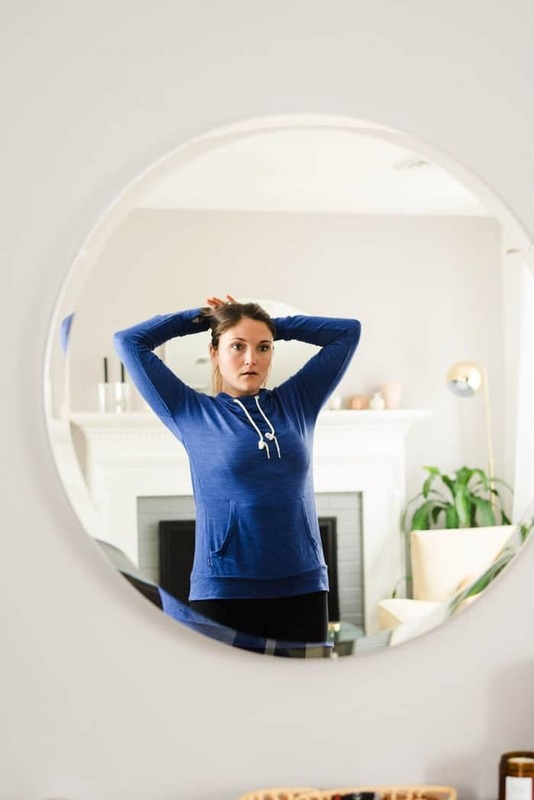 There’s certainly nothing wrong with working out in old t-shirts, but investing in workout gear that is comfortable and fits well is so worth it in my opinion. When you look good, you feel good! If I ever need a little extra motivation to work out, I treat myself to a new piece of workout gear. 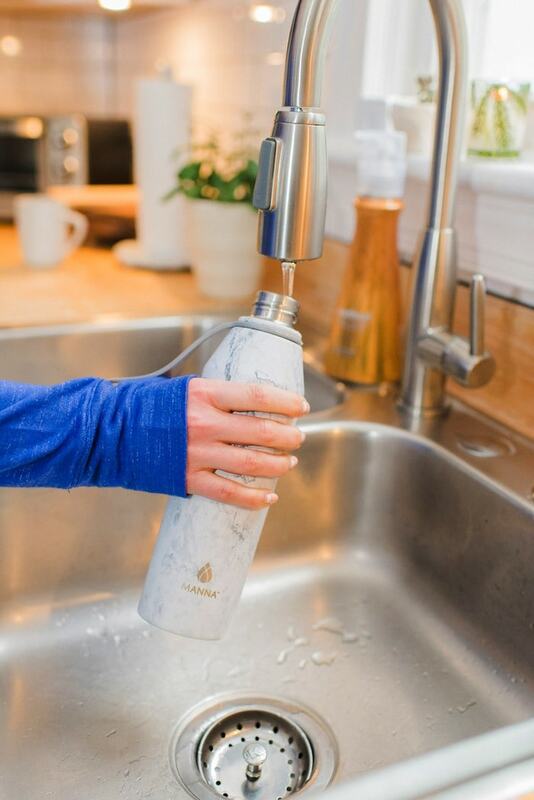 Recently I picked up this Manna marble water bottle. And a new pair of leggings, a sports bra and a running pullover. The best part — I found all these items (besides the sneakers) at my local Kroger Marketplace. Yes, I’m serious!! If you haven’t been to a Kroger Marketplace yet, they are amazing because they carry everything from clothes and shoes to small appliances and jewelry. Of course, they have a large selection of fresh food as well. Seriously, I’m obsessed with the Marketplace stores because they’re a one-stop shop! Plus they offer the Clicklist service so you can order online with same-day pickup. So convenient. Are you signed up to run any races this spring? If so, what are you doing to prepare? Also, what’s your favorite piece of workout gear? Great post! 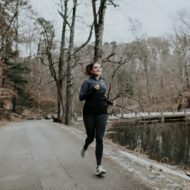 I’ve done several 5K’s and have considered stepping up to a 10K but haven’t done any organized training. I can run 4 miles pretty easily but anything more than that I have trouble and just get BORED. I listen to music or podcasts, and that helps a bit but boredom still gets me. I’m hoping now that the weather is better and I can do longer runs outside that it will help cure the boredom, since I ran on a treadmill a lot during the winter. Good luck! I’m sure you’ll rock your 10K. Love the cute new tights. Thank you Diana! I’m getting really excited for the race. I hope the weather is nice!